WWE Hall of Famer Hulk Hogan may finally be returning to the company soon. WWE officials are currently having talks about a Hogan return, according to PWInsider. Discussions for the return began several weeks back. There's no word yet on what kind of role Hogan may come back for but there's speculation on an authority role for SmackDown now that Shane McMahon took an "indefinite leave of absence" from his SmackDown Commissioner duties and current blue brand General Manager Daniel Bryan has been cleared to perform as an in-ring talent once again. PWInsider also noted that Hogan could be coming back just to resume his role as a WWE Ambassador, not necessarily as an on-air performer. WWE distanced themselves from Hogan back in 2015 due to the racist comments debacle that he was involved in. Hogan made the comments during a conversation he had with Heather Clem, the then-wife of his former best friend, Bubba the Love Sponge. Hogan was secretly filmed by Bubba and this footage would lead to Hogan suing Gawker and other involved parties. Hogan ended up winning a judgement of $115 million against Gawker and that led to a settlement of $31 million. There have been rumors of WWE working with Hogan again since the heat died down from the scandals he was involved in but it looks like the return may actually be happening now. 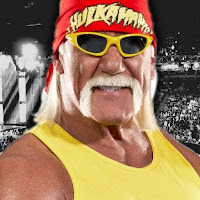 "We have had discussions with Terry Bollea (aka Hulk Hogan) about how he can help others learn from his mistakes, however, he is not under any contract with WWE."